Hand dynamometers are specialty medical instruments designed for assessing and measuring the maximum isometric strength of your hand as well as forearm muscles (Source). They are frequently used in athletics as a test of hand grip strength, as well as in strength training programs, and in sports like baseball, tennis, rock climbing where the hand is employed for throwing, catching or lifting (Source). It is also an important rehabilitation tool- they will help you to assess an individual's strength, by assessing the muscles used during forceful contraction. Some of the dynamometers are hydraulic, like the Baseline Hydraulic Hand Dynamometer, while others are digital like the Camry Digital Grip Strength Dynamometer. The Camry is our top pick- it comes with a high-precision strain gauge sensor that enables you to store readings from different users. And by inputting their age or gender it will rate the tests as either strong, normal or weak. It runs on 2 AAA batteries and can measure gripping power up to 200 lbs or 90 kgs. That said, let's take a look at five of the best-selling and dynamometers on the market today. 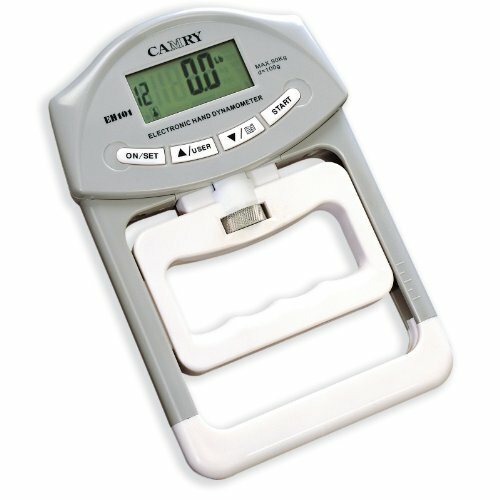 The stylish Camry Hand dynamometer has been manufactured as a training device for handgrip strength that is suitable for the gym, the engineering lab, physical therapy, or in the doctor’s clinic. It comes with an adjustable knob in the center which allows you to adjust the machine according to the hand size that you prefer, and this is what users liked the most about it. Keep in mind that the plastic isn’t incredibly durable. It can store the results of up to 19 users along with the age as well as their gender. It also compares the entire test run for each of the users and then displays the incremental decrease or increase from the previous record. The Camry Meter Auto Capturing Hand Grip is a great machine for keeping track of your health. Users of the Camry 200 lbs Hand dynamometer have reached a positive consensus. A majority of the users of the Grip Strength Hand Grip found it very easy to switch scales. Another user of the Measurement Meter Auto Hand Grip said that the unit being lightweight offered ease of movement. However, one user of the Camry Hand Grip said that he was concerned it might break due to the poor plastic used in the manufacturing of the unit. He was also worried about the plastic slipping when in use. The hydraulic and accurate Baseline 12-0241 dynamometer also provides reproducibly when it measures the strength of the hand grip in a number of different positions. This means that it can be used with both of hands without having any problems. Users really liked the dual grip functionality of the unit. Keep in mind the measuring gauge might break due to accidental falls. It also has an adjustable handle with five positions, plus the grip can be adjusted too. It is lightweight and thus, makes it easy to hold and squeeze the handle. 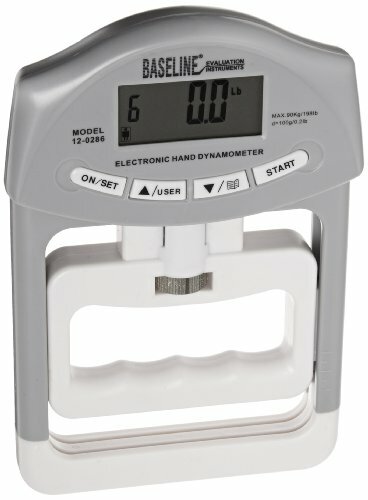 The Baseline Hand Dynamometer is a useful unit to have around in order to increase and record grip strength. A majority of the users of the Baseline Hydraulic Dynamometer agree that it is a great tool that can be used in order to precisely assess the strength of grip. 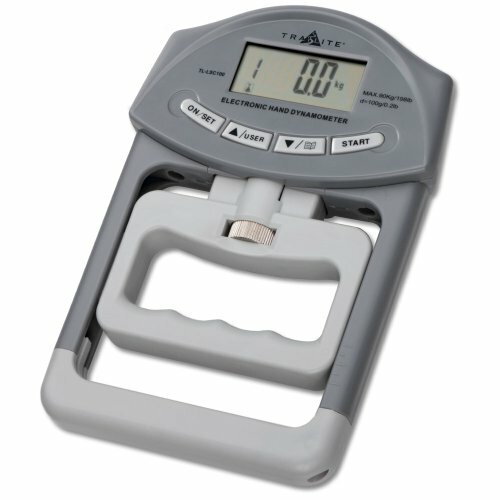 One user of the 200 lbs Hand Dynamometer said that he liked that it comes with a protective case and is lightweight, making it portable for rehab therapists. Another user of the 12-0241 Hand Baseline Dynamometer liked that the reading is both in kilograms as well as in pounds. Users of the Baseline Dynamometer also liked that the person does not feel the handle moving during measurement of grip strength. The overall general consensus of the users for of Baseline 12-0241 dynamometer is that it is a good purchase specifically for all of those who require physical therapy. The hand-adjustable Trailite Digital Dynamometer also has an auto/manual shut off. It also acts as a rehab and training device for all of those that are recovering from a muscular injury as a part of physiotherapy. It has a gauge of high precision power which gives you an accurate digital reading of gripping power. In fact, the value of the maximum grip power achieved is displayed automatically which earned the product commendations from its consumers. Users like that they can adjust the dynamometer down or up by adjusting the knob so that they have a grip which suits them the best. Keep in mind the plastic does not feel incredibly durable. The Trailite Dynamometer is a solid choice for people in rehabilitation as well as for professional athletes like tennis players, gymnasts and rock climbers. Users of the Digital Dynamometer Hand Grip have found it to be quite satisfactory specifically when it came to tracking the rehab progress of a person. However, some users of the Meter Auto Hand Grip did have complaints about how it stopped working after some time. For one user of the Trailite dynamometer, the unit only worked for one day, while for another user of the Capturing Hand Grip Power Digital Dynamometer the unit refused to switch on after five months of weekly use. Since it is made of plastic, some users of the Dynamometer Hand Grip believe that it won’t last long. 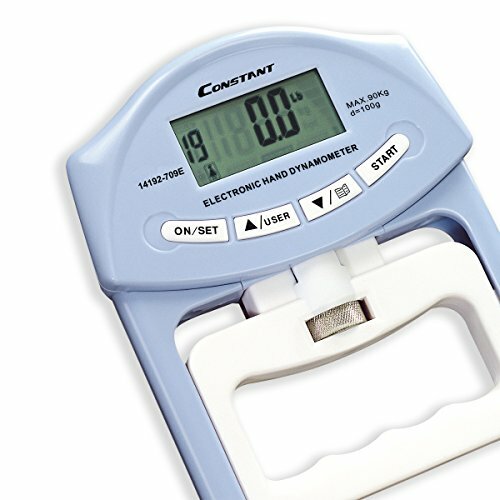 The Constant digital hand dynamometer is pretty portable- easy to carry around because of its lightweight and compact design. It is also equipped with a gauge sensor which informs its user with digital readouts. It also provides a gripping power of up to 90 kilograms. Users like the feature that the readings from the unit are provided in both pounds as well as kilograms. The plastic construction does feel a bit delicate to some. This dynamometer is also capable of showing a comparison between the current and the last reading. 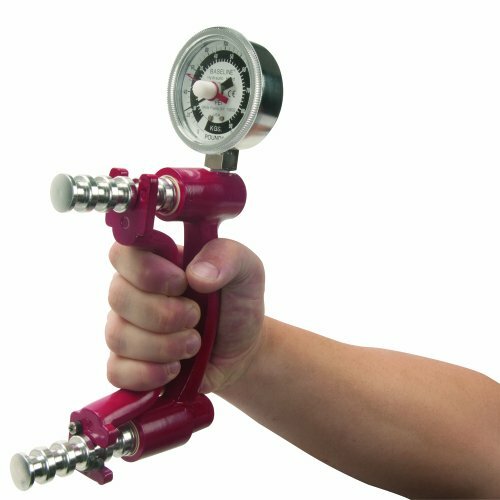 The Constant Dynamometer Grip Strength is ideal for people undergoing physiotherapy. The best thing that the users liked about the Constant Digital dynamometer is the fact that the unit is comparatively cheap compared with other units on the market. One user of the Digital Hand Dynamometer praised it for giving him quite accurate readings without having to spend a fortune. Another user of the 200lbs/90 Kgs Grip Strength Measurement liked the feature that the machine has both an auto as well as a manual shut off option. Plus, it lets you know when the meter has a low battery or when there is an overload. This Baseline 200 & 300 lb. hydraulic dynamometer provides effective readings and it is quite a popular tool amongst physical therapists. Both the 200 and 300-pound Baseline dynamometer ensure have users commending its reliability though it can break due to accidental falls. One other feature it has is the five-point handle that can be adjusted for hand size. The Baseline Hydraulic Hand Dynamometers are a good investment for those administering physiotherapy, or for the rest who want to keep track of their hand grip strength. One user of the Hydraulic Hand Dynamometer said that it might feel a bit slippery after numerous people have used it. The Baseline hydraulic dynamometers are considered fairly durable, as long as you don’t drop it, and are designed to last for many years. Perhaps the best feature of the dynamometer is that it lets you record readings in the dynamometer’s internal storage. Generally, you will test a patient's strength by having them squeeze the dynamo meter, telling them to do so as hard as they can, you will then record the results and observe how the individual is progressing or regressing from their last testing point. Or you can compare their scores to accepted norms. If you are looking to purchase a quality dynamometer, you might be a physical therapist, a hand specialist, or somebody involved in high-performance athletic training. Whatever the case, purchasing a high-quality dynamometer, particularly a digital one, can be a useful tool to assess hand grip strength- and is particularly suited for physical therapy practices, doctors offices, engineering labs and strength-training gyms. 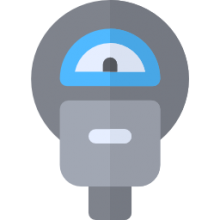 What's really cool about the digital dynamo meters is that they are able to store data, immediately generate assessments of strength based on norms stored internally, and easily convert between kilograms and pounds. A quality dynamometer will feature grip adjustability so that different hand sizes can be accommodated. The medical applications are also very important-getting a sense of hand strength is crucial for the study of medical complaints involving the hand as well as muscle loss that causes decrease in strength. Oftentimes, individuals suffering from nerve and tendon injuries, carpal tunnel syndrome as well as different types of neuromuscular complaints will have their hands strength assessed with a dynamometer to bolster medical decisions that are made based on the feedback he hand strength measurements provide. Indeed, dynamometers have enabled medical professionals and hand rehabilitation specialists as well as hand surgeons to get a quantitative perspective on hand muscle strength. Enabling testing and measurement on a continuous scale as compared to more primitive earlier methods of manual muscle testing. If you are looking to purchase a quality dynamometer, check out our reviews on this page and also the comparison table to get a sense of the different models available on the market today.